NoobMeter blog: "Why have my ratings changed!?" I think the KD ratio is wrong. It looks like it's taking Kills divided by Survived, rather than Kills divided by Deaths. I checked on my account and it seems to match what I expect it to be ("destroyed / (battlesParticipated - battlesSurvived)"). I also checked the code and that is what it calculates and it uses the same formula as above. Can you please provide examples using specific players where you think it is wrong? Is the total K/D wrong, or just the "interval" ("recent") ones? As you can see, the KD is not quite right, but I am using the average kills and survived battles %s to back calculate what the kills and deaths would be... so maybe it's all just rounding errors. Maybe I am doing something wrong, but the overall matches! Thanks for the examples. I think it is something rounding related. But in any case I rewrote the interval K/D rating calculation so hopefully it is more accurate now. I suspect Wargaming Korea has banned NoobMeter as a client :/. At least I get HTTP error 403 upon Korean requests. I will try to restart the server with a different IP and see if that helps. Hey, thanks a bunch! I've just searched my ID again and it seems to be working now. The server restart/different IP must have done it. No worries, thanks for reporting. The problem is that it could happen again. But let us hope not. It would be nice if on your profile page it would display any Top 30 lists your tank is on and a link to said list. I like this suggestion, but there are some technical concerns I have about implementing it. It would be great if the ratings also considered if premium tanks/ shells were used. The performance of a player with regular shells destroying a tank with couple of hits is definitely better than somebody who 1 shotted the tank with premium shell. Unfortunately WG does not provide this information. It's probably just a misclick in the configuration of the domain and should be easy to solve. Yes, good point, thanks for letting me know. Fixed now. Off topic since I do not know where else to post this, but if we upload the wrong replay, how do we remove it? Thanks. I will add this feature soonish. I added a "hide replay" feature so no one else sees it (it doesn't remove it completely though) - let me know how it works for you. Hey, a bit offtopic - is it possible to delete replay you uploaded on noobmeter? I chosen wrong file and now i have really crappy replay uploaded. Thank you - that will be great! Also thanks for all the good work you do! Tomasz, I added a "hide replay" feature so no one else sees it (it doesn't remove it completely though) - let me know how it works for you. Is it normal that stats are not acurate up to date? I have curently 9748 battles but your site still shows 9637. Though i also can see only overal results and for last 1000+ battles....while if i check someone else i can see 7 days stats as well. No, not normal at all - but what is your username and server, so I can investigate? My account not update last night. Pretty sure that is due to patch. ... patch 8.7 which WG deployed, I mean. Hm, Grzybu has his stats, so... but maybe patch start meanwhile stats update. and this tank show in my last stats, but i dont have it in garage, so it must be some bug. That is because WG changed all your old T-50-2 battles to be under MT-25, so for NoobMeter they seem just appeared (as it had no MT-25 battles for you before). Is the omission of the E-25 also a part of Wargamings API not returning certain tanks? Hello, 1 question about stats... about 1,5 month ago my account was resetted by WG for my request. In my stats are numbers from before reset eq. 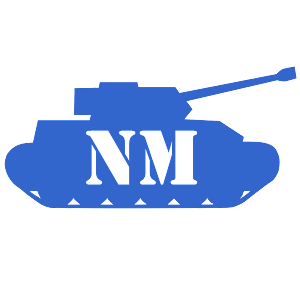 fights, tanks but there is new clan. Stats are stable (nothing changed except clan) from date of reset. I wrote this comment, becouse I can't find contact to you. Thanks and BTW - good work. My ingame nick - wi_tek. I cleared your account, it should reread it now (still cached so in a few hours). My battles in the T-34-3 are not showing up. how can I remove my replay? You can hide it. Then only you can see it. How can I hide? I do not see any option to do this. You have to be logged in using same WG user account as made the replay. Can you remove the replay from my account? Sorry to request a support question here, but our clan changed its name a while back from LIA to FENRIR (FNRIR in WOT), can you reset it so that if someone searches for FENRIR on Noobmeter they can find us? I think there is something wrong with my stats (rumburak3 EU server). Column "last 1000 battles" shows adverse WN8 - while all the other parameters - comparing to other column are on equal/higher levels (performance/efficiency/WN7, damage etc). Could you please re-check it?